Have you ever heard the saying, "Good things come in small packages?" Meet Mitzi! 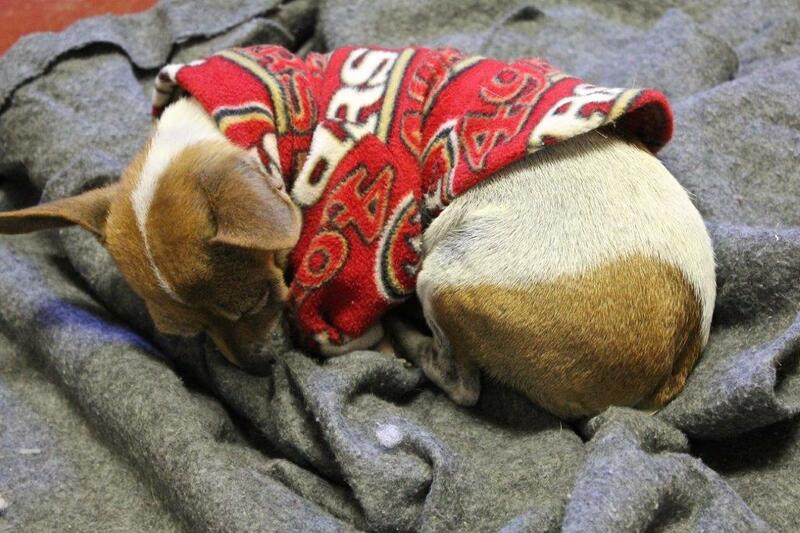 She is an adorable tiny (5.8 lb), red and white 5 yr old Corgi/Rat Terrier/Pug blend (DNA tested) with a bobbed tail. 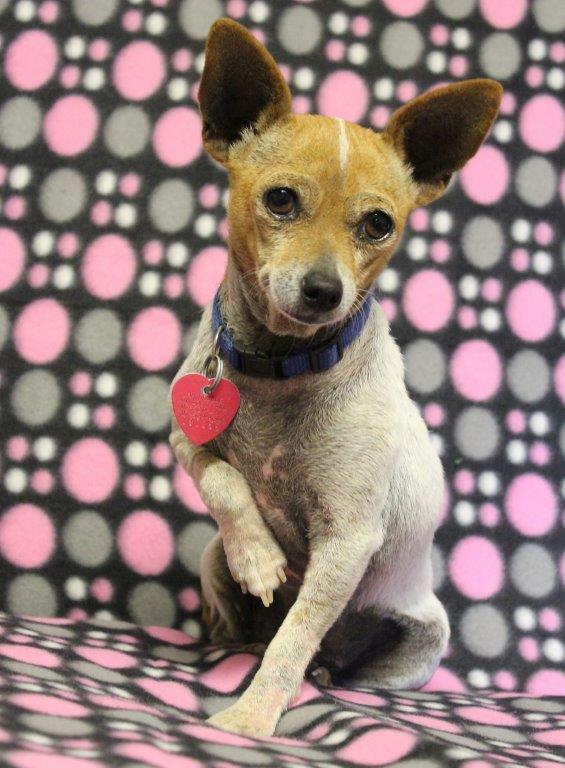 Mitzi was named after the famous dancer Mitzi Gaynor because of her amazing athletic ability to walk on her hind legs and dance for treats or attention. Mitzi is very loving and a joy to have around. She gets along with other dogs her size and cats. She knows how to walk on a leash, sit and wait. She is house trained, knows how to use the doggie door and rides great in the car. 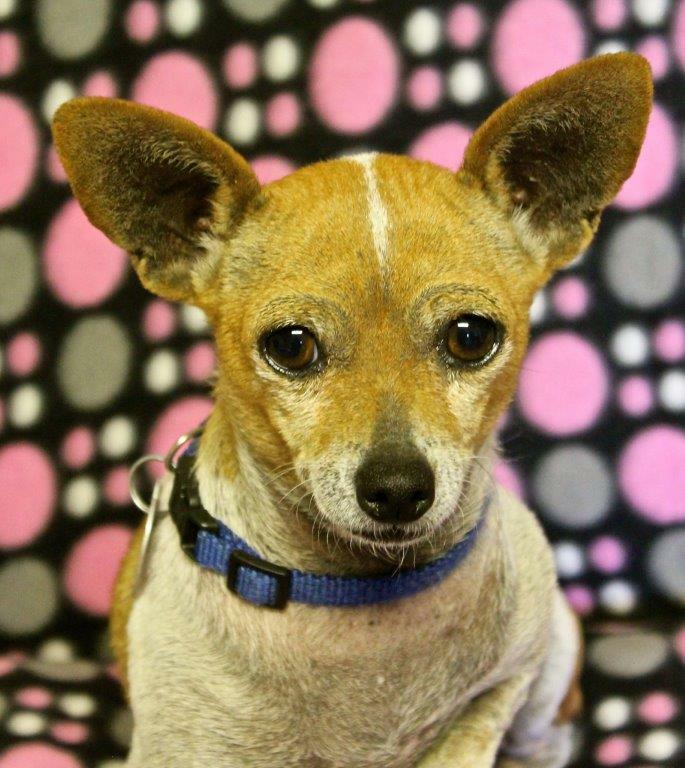 Mitzi would love to be your companion at home, in the RV or anywhere else. Due to her tiny stature, she would prefer a home with adults only or a family with older children. Mitzi is spayed, micro-chipped, and up to date on all shots.